This all began a few years ago. I had become frustrated with the failure and resignation I had come across when trying to counsel my patients on weight loss. It wasn’t that they weren’t trying. It just seemed that they didn’t know how their body worked with respect to their weight. They didn’t understand the science and their lack of knowledge created a huge stumbling block to successful weight loss. I would spend a great deal of time trying to educate them. Unfortunately, the quantity of information they didn’t know was overwhelming and I just didn’t have the time to explain to them everything they needed to know. So I set out to make a small pamphlet that I could hand to them and they could read on their own time. This would save me time and still allow them to learn everything they needed to know. I started writing and the pamphlet kept growing and growing. I found a mountain of information that I had not come across before and kept adding more and more. I kept coming across more misconceptions as I talked with patients, friends, and family about the topic. Before long, the pamphlet was a book. The vast majority of the information comes from peer-reviewed scientific journals and medical textbooks. I do my best to explain the research. I also provide the references so you can look up the information on your own. While the foundation of the book is information, it is true that knowledge not coupled with action will never be transformative. For that reason, I give you assignments throughout the book. The assignments are designed to take the information and put it into actions that have an impact. You have to get yourself moving. Once moving, the momentum will carry you forward. The book and this blog will get you off the couch. As to the overall structure of the book, part one of the book is the bad news. I wanted to start by creating enough fear to move you forward. I explain the biology behind fat and how it leads to many chronic and devastating diseases. All of the scary info is true and real – I just made no effort to sugarcoat it. In part two, I show you why you gain weight. You’ll learn why some are overweight and some are not. I show you the pitfalls and obstacles of your human nature and biology that makes weight gain and obesity easy. I show you the mechanisms of weight gain, appetite, and satiety to show you that, while obesity is a genetic and biological problem, it is not a life sentence. There are those that are prone to gain weight but, with the proper knowledge and effort, that predisposition can be overcome. I will teach you about calorie counting and appetite management with the hope that these powerful tools will give you the extra help you need. This part is where the good news comes in. When you fully understand the mechanisms of weight gain, you will become empowered to manipulate them in a way that puts you at an advantage in your struggle. Finally, in part three, I give you the solution. I discovered a treasure trove of research about exercise that, if followed correctly, will guarantee you success in achieving a healthy weight and a healthy life. This part is the most important section of the book. When you put together all three parts – knowledge about what the fat is doing, understanding how you are stimulated to gain weight, and committing to a lifestyle of exercise and diet control, you are guaranteed success. It will not be easy or fast. The commitment must be for the rest of your life but it can be done. The world outside is trying to sell you on the quick and easy fixes. They all want you to think that their new product or method is the next revolution in weight loss. You know deep down, however, that it isn’t fast or easy. Unfortunately, the world just doesn’t work that way. 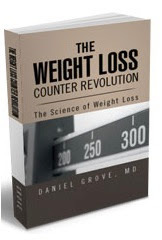 For that reason I have called this book The Weight Loss Counter-Revolution. 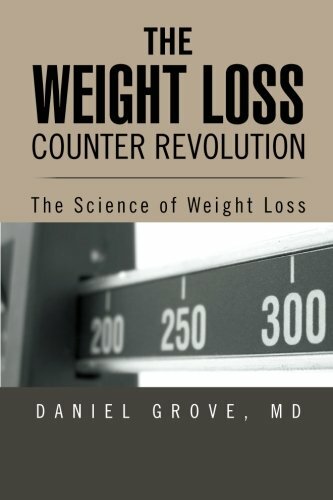 This books runs counter to all the fads, gimmicks, and quick-fixes; the “revolution” in weight loss that have always left you disappointed. I’ve come along to help you fight back against the manipulations and half-truths. Click on the links on the top right of the page to help me spread the word on facebook, pinterest, or twitter!